How do you play an overpair on the flop? - Casino Answers! Casino Answers » Poker » Texas Holdem » How do you play an overpair on the flop? An overpair to the flop is a strong hand generally and should be played strongly as well. Some players may feel a need to get a little too cute with it and slow play it initially, however playing strong hands strongly is the default here and you need a good reason to depart from default play. An overpair is a pair made from the cards in your hand that is higher than any other pair that could be made with the cards on the board. For instance, if you had a pair of Jacks in your hand and the flop came 7-2-10 then you would have an overpair as the best hand that can be made of the board is a pair of tens while you have a pair of Jacks. 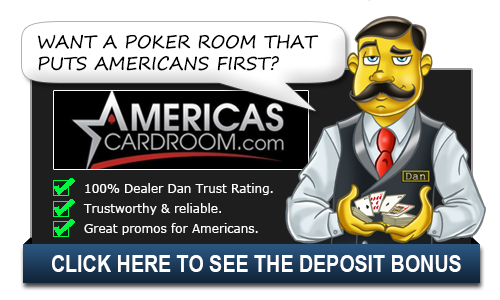 There may be some opponents who may be tight but also like to bluff frequently, where you can start out playing the hand slower and can count on them to get more money in that way. You need to be fairly sure of yourself if you do this though. What you need to avoid here is giving too many free cards where the opponent can draw out on you or have an opportunity to bluff you out of the hand later. What you don’t want is to slow play that hand and see a person who loves calling small bets to draw a hand that can beat yours. In general, the lower your pair is, and the more draw heavy the board is, the more likely that playing the hand fast is the better choice. The next card could hit your opponent’s hand, it could be an over card to your pair, or it could be a card that completes a possible draw. You might even end up folding the best hand later when you could have just taken it down on the flop without a fight. Sometimes players become obsessed with trying to slow play and getting as big a pot as possible, but this isn’t always the best strategy. There are too many variables and you need to win the hand as soon as you can. So unless you are sure about what you’re doing, meaning that you can expect your opponent to play aggressively almost all of the time if you slow play, betting and raising is the preferred way to go with this hand. Having the best hand on the flop doesn’t mean you will have the best hand on the turn or the river. So when you have the best hand, it’s always smart to bet like you do and try and win the pot as soon as possible. Unless you have a good read on your opponents or have spotted a tell, this is the time to not mess around and just bet into the pot. You have the best hand at this moment with your overpair so the best thing to do is to try and win it.